We invite the arts therapy community to a unique sculpture symposium, which will provide tools for utilizing varied sculptural methods in the therapeutic process. The symposium is aimed at enrichment and mutual learning, and will include lectures, workshops, and discussions. We are honored to welcome guest lecturer and facilitator Professor Jaroslava Sickova, international sculptor and founder of the arts therapy field in Slovakia. 10:15 AM-13:15 PM Learning workshop led by Tamar Hazut: Observation and phenomenological analysis of sculptural processes and products. is an active sculptor, working in collaboration with her husband Jan (sculptor and sculpture instructor) in Slovakia and around the world. 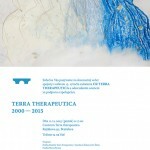 Prof. Sickova founded the field of arts therapy in Slovakia. She lectures, participates in international conferences, leads workshops, and has published several books. He is a senior arts therapist and supervisor. He consults, teaches, and supervises at the College of Society and Arts, and conducts private treatment and supervision in Herzliya. Mr. Shor has developed treatment models and methods in the field, placing art as a leading language in treatment and training. is an active artist, working in sculpture and installation. She has a B.Ed. degree from the Beit Berl College Midrasha School of Art and an M.F.A degree from Bezalel Academy of Arts and Design. Ms. Sever has exhibited her work in leading Israeli museums and at a variety of galleries. She teaches art in high school and at Tel-Hai College, and teaches art education at the Beit Berl College Midrasha School of Art. is an art therapist and supervisor, and has served as chairperson of I.C.E.T. for the past ten years. Mr. Makmori has over thirty years of experience at the Eitanim Psychiatric Hospital, and also works in his private clinic. He specializes in treatment of borderline personalities, complex post-trauma, group psychotherapy for people with severe psychiatric disturbances, and art therapy with a psychodynamic focus. He has published five articles in Israeli and international journals. is a psychotherapist and arts therapist, expert in treatment of victims of trauma and sexual abuse. She works at the Multidisciplinary Center for Treatment of Victims of Sexual Abuse at the Bnai Zion Medical Center in Haifa and in a private clinic, and serves as chairperson of Trauma and Dissociation Israel (TDIL). is an art therapist and supervisor, and teaches at the arts therapy training program at Beit Berl College Midrasha School of Art and Arab Institute. Ms. Frankel was trained in psychoanalytic psychotherapy, supervises art therapists across the country, works as an arts therapist with special education and at-risk children and youth through the Ministry of Education, and with adults in her private clinic. Ms. Frankel is involved in creative activity and writing in the fields of dance, sculpture, and photography. is an art therapist with many years of experience in treatment of children and youth at risk, and with children in the hematology-oncology department of Schneider Children’s Medical Center. She currently leads support groups for siblings of children with cancer and for bereaved parents, leads therapeutic workshops in collaboration with artists, works in a private clinic, and lectures at the Bitui College program in arts therapy. is a retired art therapist, after years of experience working in various departments in hospitals (Dana, Meir, and Schneider medical centers) and in special education. She currently leads therapeutic workshops that incorporate work with an artist. Shani Treisman is a movement therapist, and teaches and supervises at the Kibbutzim College and at the Arts and Society College. Past places of work include children’s oncological departments and developmental kindergartens. Ms Treisman specializes in pre-school age children, and she currently works in a treatment center for children with behavioral disorders and in a private clinic. has an M.A. degree in art therapy, and works with children and youth with a focus on behavioral disorders, with families undergoing divorce, and with adults. She supervises both students and therapists. is an art therapist and psychotherapist, as well as a certified supervisor. She is director of the arts therapy program at Tel-Hai College, lectures at the University of Haifa and at Oranim College, and chairs the arts division at I.C.E.T. Ms. Dornai is an expert at counseling parents using art, through a unique model that she developed. After years of working in the psychiatric field, she now works with a diverse clientele in her private clinic. founded the arts therapy training program at the University of Haifa, together with the late Peretz Hesse, and served as its director from 1985 to 2008. She is active in I.C.E.T., in particular in the field of professional recognition for arts therapists. Ms. Hazut initiates and teaches at conferences, study days, and courses in Israel and worldwide. Her expertise is trauma and loss, multi-culturalism, and the development of the language of art through arts therapy, and she has published articles on these subjects.